Everyday all over the world somebody packs up his/her belongings and moves to a new place. Today we are one of them again. 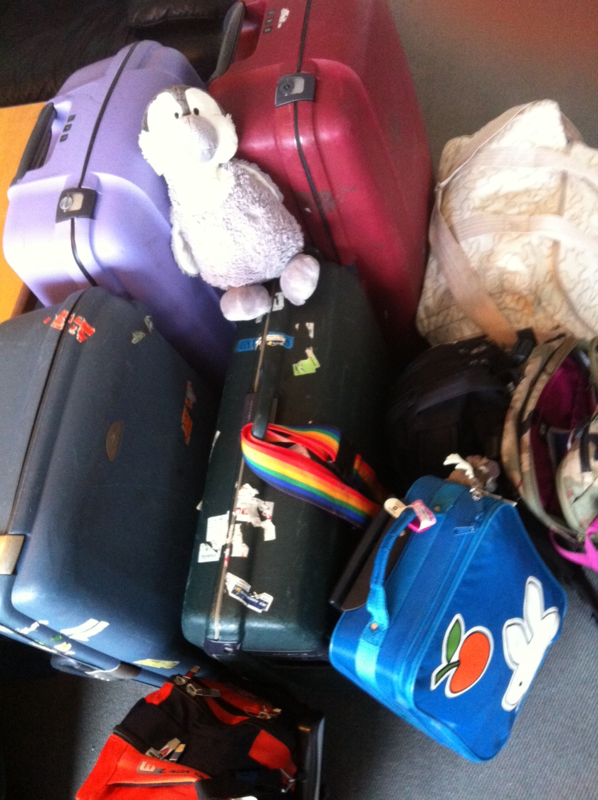 The house is closed down, the furniture neatly packed into a container, suitcases and bags standing ready for boarding. Nerves are kicking in, a mixture of fear, worry and excitement. Only time will tell, what this new step will bring. But we go open-hearted, and will take it day by day. Until eventually we will – hopefully – feel home in a new place again. But for now, what is left is that sad feeling of leaving family and friends behind. Being back in my birth country for 2.5 years enabled us to rekindle friendships and family connections, to make new friends and deepen old friendships. For me the people make a place live- and loveable. It was a joy and pleasure to spend time with you and we will miss you. So thanks to you all, you know who you are! It’s not that hard to leave a place behind you but the people you met! So, to all out there taking the step to move – embrace the old and go open-hearted and honest into the new. Try to take it day by day, you can’t force ‘feeling at home’. And most important – enjoy the friendships along the way, after all they make the place you call your new home worthwhile. But don’t forget the old ones – your move is often as hard on you as it is on the ones you leave behind! Have a lovely day, wherever you are! When you read this we should be in the air 😉 – I will be back from the other side of the world!